Supplements claim to make you lose weight, gain huge muscles, increase your recovery rate during/after exercise, increase strength, burn body fat, but do they really work? One will often hear that taking supplements is a waste of money & you'll end up having expensive urine. 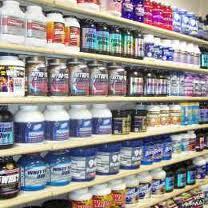 I believe that supplements has it's place in the fitness industry. Taking a Good Quality supplement in the correct manner will lead to good results. So what supplements do you buy? There are hundreds of brands on the shelves. Some work better than others. I strongly suggest you speak to someone who knows enough about supplements and someone who is not going to force some cheap product onto you for the sake of making a sale. (which is what a lot of salesman do) So be very careful. Some of the good brands to be taking would be Muscle Tech, EAS, Dymatize (these are international products). Muscle Tech is very expensive & not always aimed at your average earner. If you can afford to purchase Muscle Tech then I would say go for it. Evox is one of the better local brands. I find the international products way more refined & streaks ahead of some of our local supplements. The food we eat on a daily basis does not constitute enough of the overall essential vitamins & minerals that we require to push our bodies beyond that "comfort zone" when we exercise. The correct supplements would assist in providing the body with that Good quality protein we need. Consult your Dr to find out if you are allowed to take certain supplements, especially if you are diabetic or have any other illness. In conclusion, supplements are awesome if taken correctly and not abused.